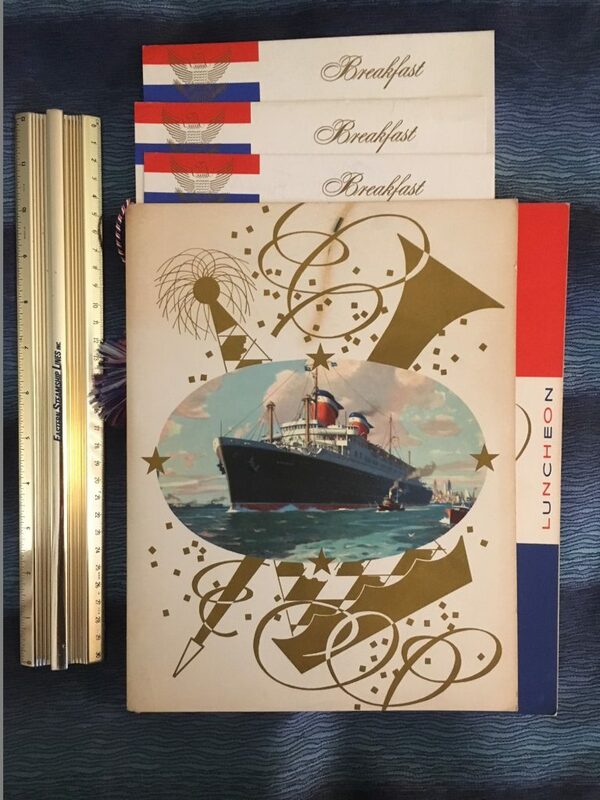 Unites States Lines: SS America menu set 1957. Includes 3 Breakfast menus dated 10/24, 10/25, 10/26; a Luncheon menu also for 10/26 and finally a Captains Dinner menu for 10/27. All with normal ware. Frederick Fender was master in charge.